In ancient Rus’, just like in many other cultures around the world, vagrant singers entertaining the people with their songs and street performances were a common sight in towns and villages. Gusli players were one of the first vagrant musicians; they sang folk songs and narrated bylinas to the accompaniment of their gusli — an ancient Russian musical instrument. 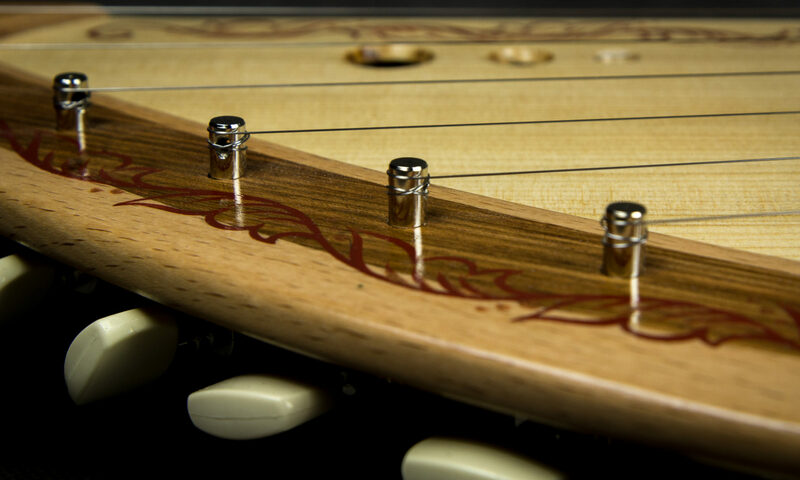 Gusli are deemed to be the oldest multi-string musical instrument, with the earliest specimen found by archaeologists dating back to the 11th century. A harp, a cithara (or kithara) and a lyre are similar instruments with a similar method of sound production. However, gusli existed only in Rus’. Numerous references to gusli in chronicles, legends, bylinas and fairy tales prove how deeply rooted they were in the culture of that period. 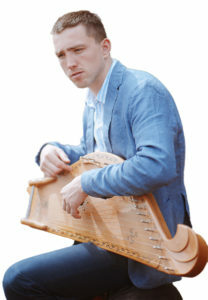 The ability to play the Gusli was ascribed to the most intelligent of the three bogatyrs — Dobrynya Nikitich. Gusli are even mentioned in the Russian Synodal Version of the Bible. According to common belief, the gusli player had to make his own instrument in order to feel it better. However, a special craft of gusli making was developing at the same time; not only were those artisans extremely skilled in making the instruments, but they also tried to design individual gusli for each singer. Understandably, this unique craft is almost entirely lost now. Travelling across the country was a lifestyle choice for gusli players and they always enjoyed a warm welcome wherever they went. They earned their crust by collecting material for their performances and learning new stories, which they used later on. At that time, most people were born and died without ever leaving their native town or village and it was only from such singers and storytellers that they could learn about the outside world with its heroes and villains. Gusli players enjoyed absolute trust because they lived among the people and were from humble origins themselves. The most famous gusli player was Boyan, whose name appeared in the masterpiece of ancient Russian literature — The Song of Igor’s Campaign. Despite the fact that the version of the text that survived has no mention of gusli, some researchers suggest that this was his musical instrument of choice. Boyan is represented as a great narrator and prophet; his songs of praise for Igor proved to be prophetic. Boyan’s fame was so great that he became a household name. He was often portrayed as a blind old gusli player, who committed to memory the landmark events of Russian history, as well as numerous bylinas and songs.